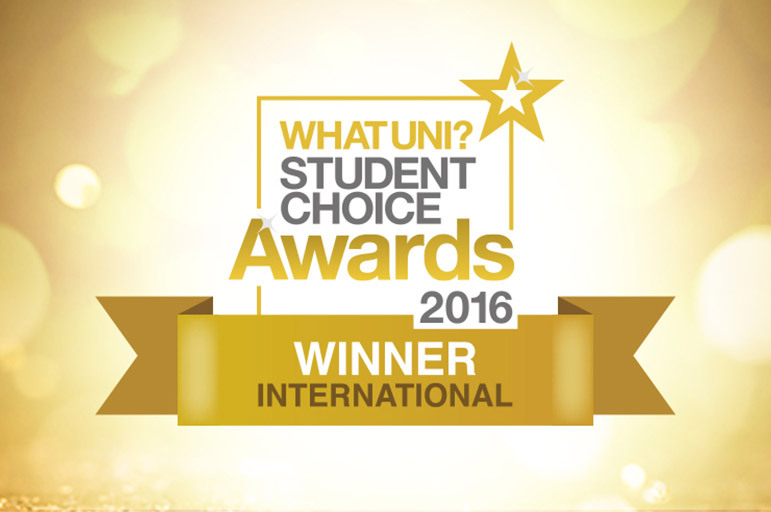 Nottingham Trent University was named the best for international students at last night’s (14) Whatuni Student Choice Awards and ranked in the top ten universities overall. Nottingham Trent University was named the best for international students at last night's (April 14) Whatuni Student Choice Awards and ranked in the top ten universities overall. The rankings, now in their third year, are based on thousands of reviews submitted by students and published on the Whatuni website. Professor Nigel Healey, Pro Vice-Chancellor (International), said he was delighted the views of overseas students had led to a win in the International category. "At Nottingham Trent University, we have put internationalisation at the heart of our new strategy, Creating the University of the Future. We have worked hard to welcome international students to our city, encourage home students to learn from them and celebrate our international diversity on campus. I am thrilled this work has been recognised by the WhatUni award." The University also scored well across all ten categories, including being placed sixth for Students’ Union and seventh in the Facilities section. Overall, out of 125 universities in the Whatuni Student Choice Awards, Nottingham Trent University is ranked seventh. Professor Eunice Simmons, Senior Pro Vice-Chancellor, said: "This is a ranking that we can feel rightly proud of, and one which reflects our ambition as we continue to implement our strategic plan."